Our third shortlist today is the shortlist for the “Best Coffee Spot near a Railway Station”. This was won in 2015 by Electric Coffee Company and rewards those Coffee Spots serving great coffee to desperate travellers on Britain’s rail network. Ever since it opened on Birmingham’s Stephenson Street, Yorks Café & Coffee Roasters has been one of my regular go-to places when changing trains at New Street. Yorks is also shortlisted for the Best Basement and Best Breakfast Awards. Exeter’s Exloding Bakery is right outside Exeter’s Central Street, which is one of three stations in Exeter, the most famous being St Davids. However, if you get the chance, head over to Central, where you’ll find the Exploding Bakery, part coffee shop, part bakery, worth a visit by itself. The Exploding Bakery is also shortlisted for the Smallest Coffee Spot and Best Cake Awards. 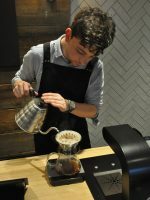 Around the block from Seattle’s King Street Station, Elm Coffee Roasters makes an excellent first stop if you are arriving in Seattle by train. Or an excellent stop if you are in Seattle anyway. All the coffee is roasted on-site at the back of the store and you can even sit and watch it roasting if you’re lucky. 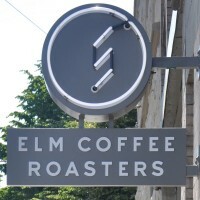 Elm Coffee Roasters is also shortlisted for the Best Roaster/Retailer Award. With the current problems on Southern Rail, I pity anyone having to travel to/through Victoria Station, so why not take solace in the nearby Iris & June? The food, coffee and cake are all excellent, while you’ll get a warm welcome. Indeed, why bother going anywhere else? 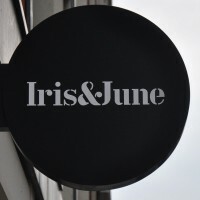 Iris & June is also shortlisted for the Best Neighbourhood Coffee Spot and Best Cake Awards. Coleman Coffee Roasters is tucked away on Lower Marsh behind Waterloo Station and well worth seeking out. 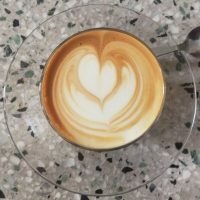 Serving excellent coffee, which by now may be being roasted on-site, along with some inventive food options, Coleman Coffee Roasters is also nominated for the Best Outdoor Seating, Best Espresso and Most Passionate About Coffee Awards. Pitch started life in the Westfield Shopping Centre, so it’s no stranger in the business of going toe-to-toe with the chains in their natural environment. This, it’s second branch, is right next to Fulham Broadway tube station, with chains to either side. 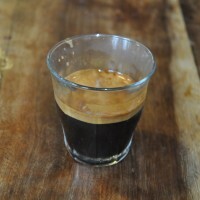 Despite, or perhaps because of, this, it more than holds its own, serving up some excellent coffee. 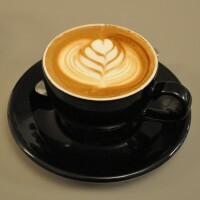 Pitch is also shortlisted for the Best Takeaway Coffee and Most Popular Coffee Spot Awards. Outside the back entrance of Paddington Station, along the side of the canal, you will find Can Do Coffee operating out of a container. 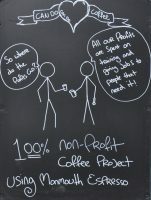 A not-for-profit social enterprise helping the disadvantage back into work, Can Do Coffee is just a short walk away from the station, making it an excellent port of call if you have a few minutes to grab a coffee before your train. Can Do Coffee is also shortlisted for the Best Takeaway Coffee Award. 2016 saw me regularly travelling through Birmingham and changing trains at New Street Station. 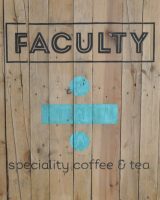 Along with Yorks Café & Coffee Roasters, which is just around the corner, Faculty has become one of my regular go-to places. In the beautiful setting of the Piccadilly Arcade, Faculty ticks all the boxes, whether you’re just looking for a coffee to go or fancy sitting down for a bit. Faculty is also shortlisted for the Best Filter Coffee Award. 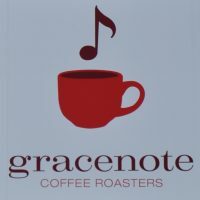 Boston‘s Gracenote is the first coffee shop of one of my favourite New England roasters. It’s also a bonus that it just happens to be around the corner from Boston’s South Street Station, the terminus of the Amtrak line from Washington DC/New York City. 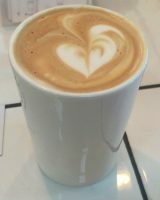 a small, standing-room-only spot, Gracenote has a fabulous Modbar installation and is also shortlisted for the Best Espresso Award. 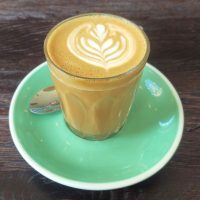 Another new opening in the vicinity of London’s Paddington Station, Store Street Espresso’s third branch takes a little finding and is only open during week days, but is definitely a great option. 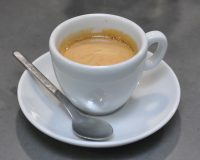 Store Street is also shortlisted for the Best Espresso and Happiest Staff Awards. This nomination could easily have gone to Origin’s branch inside the British Library, but this, its second branch on the library site, is more convenient, actually sitting on Euston Road and mid way between Euston and King’s Cross/St Pancras. It’s an excellent option for sitting in if you have some time to kill. Alternatively, grab a coffee to go if you are in a hurry. Origin is also shortlisted for the Best Roaster/Retailer Award. The second of 200 Degrees Nottingham cafes, Carrington Street has been a long time in the making, but it’s definitely worth the wait. Its location couldn’t be more convenient. Just turn right when you come out of the front of the station. Adhering to 200 Degrees’ high standards when it comes to the fit out, Carrington Street is also shortlisted for the Best Lighting Award. The LP Café in Watford is a short stroll from Watford Junction. A delightful spot, it’s worth making the journey out to Watford Junction just to pay it a visit. The LP Café combines fine coffee with the sale of vinyl records, hence the name (although it also stands for Leila and Paul, the café’s owners. The LP Café is also shortlisted for the Most Unlikely Place to find a Coffee Spot Award. Manchester‘s ManCoCo is located underneath the railway arches near Deansgate Station. A roastery on one side and coffee bar on the other, it’s a lovely spot which is also shortlisted for the Best Physical Space Award. 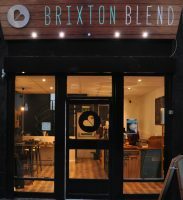 Brixton Blend opened this year, tucked away in the heart of Brixton down an alley directly opposite Brixton Underground Station, making it a great spot to visit on your morning commute. Spread out over two floors, there’s also plenty of room if you want to sit in. Brixton Blend is also shortlisted for the Best Takeaway Coffee and the Happiest Staff Awards. Runners-up: Yorks Café & Coffee Roasters and Origin, Euston Road.